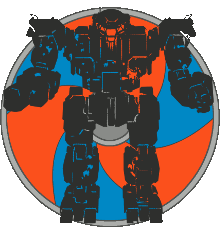 This site is an ISENGRIM project created by Tarogato and Scuro and is supported by our community contributors - a tireless legion of trusted and proven high-tier competitive mechwarriors who live the meta and are dedicated to providing the community with curated mech builds, mech-ranking lists, and the occasional tutorial and informative guide. Join our community on Discord to provide feedback, or if you are looking for help and advice! Visit our sister site, The Jarl's List, to see how you stack up against the Mechwarrior community and track your progress. The following chassis now have complete build guides available, and have been added to our tier lists. Feedback is welcome in our Discord server! Update #1 - Dervish theorycraft? Most of our time this month has been spent on back-end shenanigans. Content injections will pick up as we wrap up our current internal projects. Thank Thor for Scurro and his continued unyielding efforts in building our inner-workings from the ground up. - PGI announced the Dervish, and we've made our review/theorycraft for it. - Annihilator now has a build guide and has been ranked on the tier lists. - Hunchback IIC now has a build guide and has been ranked on the tier lists. - The Build Guides have been improved - more information, prettier layout. - Minor ongoing updates to builds and tier list sorting. We'll begin posting more detailed changelogs once things have settled. Lizzee plays for EON Synergy and is an authority and force to be reckoned with on assault mechs. ---Val--- is a veteran strategist who's played or led in many teams such as ISENGRIM, Veto, 228th Wild Ones, JGx, and more. It's been over a year in the making, but we're ready to get this party started! This is a beta launch, which means things could change somewhat drastically, such as site aesthetics, and tier list philosophy. Visit our Discord and join in on the discussion. Content is slim on launch, and that's for a reason - I expect to get bogged down with feedback. We have a bunch of build guides ready to go, pending approval, so there should be a constant stream of content being injected. Check this space for updates! While I did most of the site design myself, Scuro did the real hard work of translating my needs and wants into all the backend code and database integration that powers this site. GrimMechs also wouldn't be possible if it weren't for the Community Contributors that I recruited to populate our build database and tier lists. Ensuring that builds and tier list placements are agreed on by a majority of Contributors is a lot of work, and I selected high-tier players from a broad range of competitive units to foster diversity and ... intense discussion. In the Grim Dark Gritty Dank meme-filled future, all but the Grimmest of Mechs are liabilities on the Battlefield. GrimMechs is a community-driven resource forged by the tireless labors of the ISENGRIM. This site is the handiwork of our Mech-Wrights Scuro and Tarogato, who work beneath the grim shadow of their unyielding overjarl. Visit our Discord if you wish to contact these unsung heroes or our community contributors to make your suggestions.